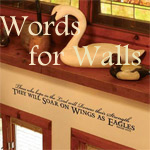 Vinyl wall decor is a very hot trend in the home decor market today! We offer some of the most cherished scripture verses that you can apply quickly and easily to almost any surface. Decorate walls, furniture, mirrors, doors, windows, file cabinets, office equipment, appliances... Get creative! The possibilities are endless. Give it a try... a very economical approach to getting scripture into the home! 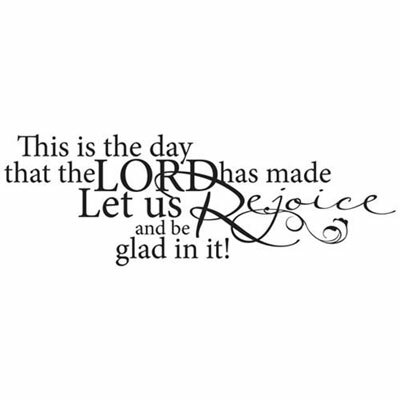 'This is the day that the Lord has made, Let us Rejoice and be glad in it!' From Psalm 118:24.